TruDerm is an elite dermatological practice in Allen and Plano, TX that offers a variety of nonsurgical treatments to improve the cosmetic appearance of the skin. One of our most popular treatments is nonsurgical body contouring to treat fat, cellulite, and skin tone. This procedure is a noninvasive way to sculpt the body in areas that have stubborn pockets of fat and smooth out the skin for a tighter contour. We are pleased to offer such an innovative alternative to surgical liposuction for patients who desire a slimmer look. At TruDerm in Allen and Plano, TX, we offer the innovative UltraShape, as well as the new Vela Shape III. If you are interested in learning more about how these technologies can help you, call our dermatology office today to schedule a private consultation. We look forward to meeting you. Nonsurgical body shaping is an ideal treatment option for men and women who have excess fat in the abdomen, flanks, and thighs. It is best for those who are in overall good health and for individuals who are at or near their goal weight. Patients who have excess fat that cannot be treated successfully with nonsurgical body shaping or have excess skin and cellulite may be better candidates for a surgical procedure. However, our goal is to offer the most minimally invasive approaches, thus we will discuss the alternatives and help find the right solution for you. 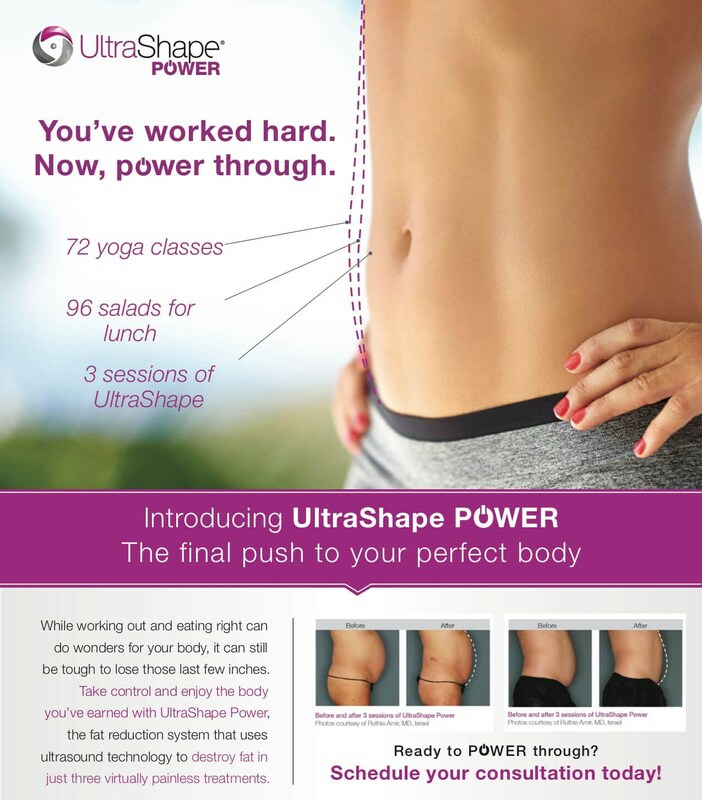 The UltraShape Power uses focused pulsed ultrasound energy to selectively target unwanted fat cells. This sophisticated energy causes the fat cells to rupture, which reduces a patient's BMI. The result is a tighter, leaner body contour. Since UltraShape Power delivers a unique frequency of energy that specifically targets fat cells, the surrounding tissue is left undisturbed. This is an innovative component that attracts many patients to UltraShape Power as they can be confident that other areas of their body won't be compromised. VelaShape III is one of the newer body shaping and body contouring technologies to enter the aesthetic market. 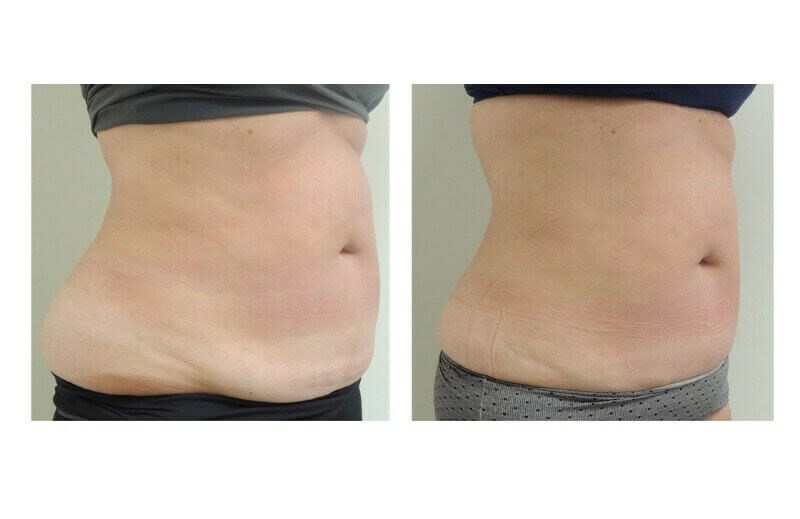 TruDerm offers this treatment for those seeking nonsurgical body contouring to help reduce fat and cellulite and create a slimmer, circumferential size. VelaShape uses an effective combination of bi-polar RF (radiofrequency) and optical energies that are delivered directly to the underlying dermis and hypodermis zones where cellulite and pockets of fat reside. The dual mechanism creates outstanding results as the optical energy primarily targets the dermis, while the radiofrequency energy targets the hypodermis by controlled thermal stress. Optimal results are achieved when UltraShape & VelaShape procedures are combined. TruShape is TruDerm’s exclusive limited-time offering of UltraShape + VelaShape (3 combined treatments) for only $2,499. During treatment, the handheld device of the technology being used will be applied to the specific target area of the body. There is little to no discomfort during the procedure and since it is a noninvasive process, general anesthetic is not used. The treatment for one area usually takes about 30 - 45 minutes to perform. Typically, results are seen two weeks after a single treatment. However, multiple treatments may be required to yield optimum outcomes. Many of our patients experience the best results when they receive 2 – 3 treatments at two-week intervals. If you are looking to enhance your current shape and aren't ready to undergo a major procedure like surgical liposuction, UltraShape Power and VelaShape III can bring great results. Call TruDerm in Allen and Plano, TX today to schedule a consultation. Our staff will be happy to answer any questions you have and tell you all about how UltraShape Power can benefit you.